In my blog, Gummy Bear” Silicone Breast Implants Just Approved by the FDA for Usage, I shared with you the news that the FDA finally allowed widespread usage of these next generation silicone breast implants after over a 12 year wait. Also, rather than being referred to as “gummy bear” implants, they have now been given an official name, the Natrelle® 410 Highly Cohesive Anatomically Shaped Silicone-Filled Breast Implants – or Natrelle® 410, for short. Is this an earth shattering event? Has there been a recent increase in seismic activity or an unusual number of earthquakes subsequent to this announcement? No, and of course not! However, if you are considering having a breast augmentation or a mastopexy (breast lift) with implants, now you have one more option available to you. These Natrelle® 410 implants do have several advantages over the round highly cohesive silicone gel breast implant (as I noted in that post). There are also a few drawbacks. These are anatomic shaped implants (tear drop in configuration) so if you are looking for a “push-up” look with a lot of roundness and fullness at the top of your breast, this style implant will not be for you. If you are also desiring to be disproportionately large, the same holds true – so go with the round silicone breast implants. These Natrelle® 410 implants require far more precision in their selection and insertion than the round silicone implants (although I already am very precise and meticulous as regards the round silicone gel implants). In fact, this is such a crucial issue that that any plastic surgeon desiring to offer these implants must obtain certification for their usage. I have completed the certification program and am fully certified to offer and use these Natrelle® 410 implants. 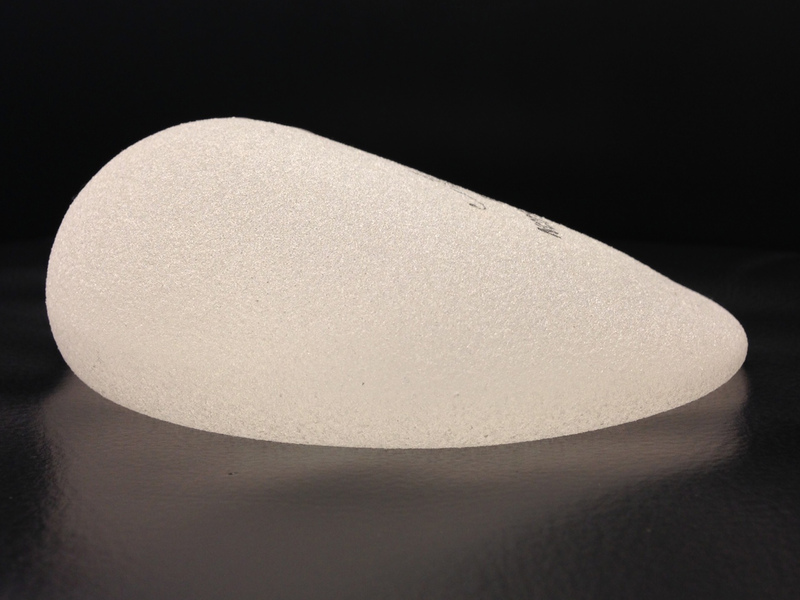 Finally, these new implants are substantially more expensive than the round silicone gel breast implants. Consequently, this will translate into a significant premium to the cost of undergoing a breast augmentation if you opt for using them. This additional expense to the procedure will vary among plastic surgeons, but it could be in the range of $2000 – $3000 more. If you would like additional information on the new Natrelle® 410 silicone breast implants or on breast augmentation surgery in general or if you would like to schedule your complimentary consultation with me, please call my office at 480-451-3000.